The Gameweek 1 performance of Kyle Walker (£5.5million) should alert Fantasy Premier League managers to a valuable route into the Tottenham Hotspur rearguard. Cheaper than defensive team-mates Toby Alderweireld (£6.5m) and Danny Rose (£6.0m), Walker’s frequent forays down the right provided the assist for Erik Lamela’s (£7.0m) equaliser at Goodison Park. 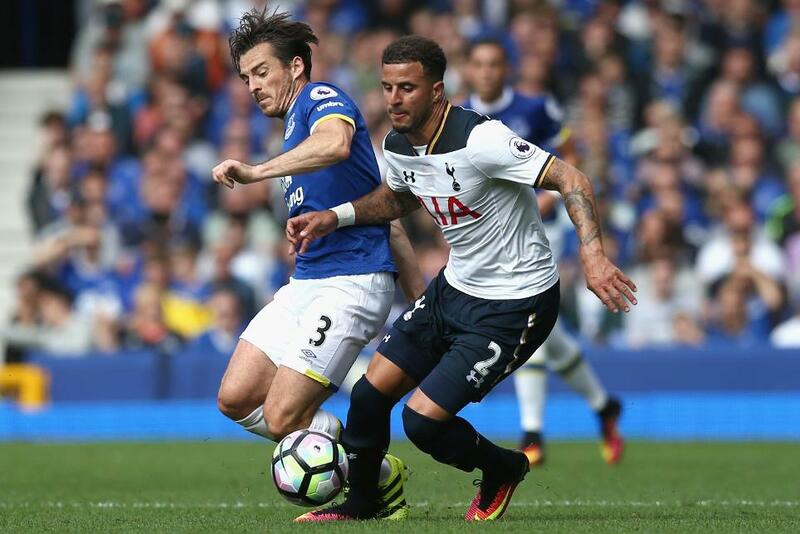 In addition, Walker created three goalscoring chances for Spurs, more than any defender in Gameweek 1, and registered two successful crosses. Rose, meanwhile, failed to produce a single key pass and was unsuccessful with all four of his attempted crosses. This correlates with last season’s numbers, where Walker delivered a 23.1% cross accuracy to the left-back's 13.6%. Although a recent hamstring injury to Hugo Lloris (£5.5m) promotes Michel Vorm (£5.0m) as an alternative between the posts, the Dutchman is no more than a short-term option as Lloris is expected back in mid-September. Walker looks a far more secure long-term pick as Spurs prepare for a kind run of fixtures that sees them face just one of last season’s top eight in the next eight Gameweeks. Encouragingly, six of those encounters score two or less in the Fixture Difficulty Rating (FDR). First up is a home encounter with Crystal Palace, who were far more susceptible to crossed balls down their left flank against West Bromwich Albion last week than those from their right. Alan Pardew’s side conceded 14 crosses from their left compared to seven on the right. This indicates that Walker will have more scope than Rose to forage forward and team up with Lamela once again. Second only to Stephen Kingsley (£4.1m) for transfers in for defenders this week, Walker has been acquired by more than 55,000 FPL managers. With form and fixtures on his side, the right-back, owned by 20.9% of Fantasy managers, will be confident he can maintain his eye-catching start. The one caveat is that once UEFA Champions League matches start on September 13, Mauricio Pochettino may look to occasionally rotate his full-backs. Nonetheless, having started 33 times last term, the impact on Walker should be minimal.